For those who haven’t noticed, the Stobart Green & Stobart White company replacement mods have been removed. Since the Big Stobart Mod is far better I see no reason to keep the other two around. 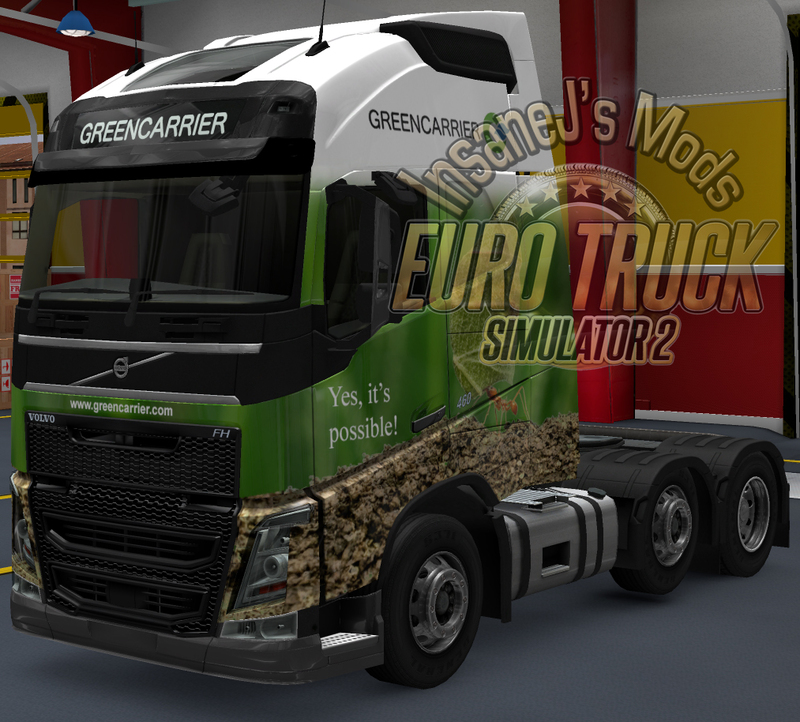 First first is a Green Carrier skin for the 2012 Volvo FH Globetrotter XL, which can be found on the Truck Skins page. Please note: Because it requires Ohaha’s mod, the Stobart skin is only available as a solo mod and will NOT be part of the truck pack.